Keeping the horse property clean is the key to raise healthy and thriving horses. We must daily remove their waste and the bedding from the horse property, because they attract flies and insects. Fresh horse manure contains high levels of weed seeds. Thus, if you just add fresh manure to your soil, your crops will suffer from the presence of those weeds, along with other deficiencies. However, well-rotted horse manure is an excellent source of organic matter. It can be the ideal soil conditioner for trees, vegetable, herbs and flower gardens, if added at a rational quantity to the soil. The horse owners shall examine the ways in which they can take advantage of their horse waste. They can compost it and use it on their crops, donate it to a local farmers union or sell it to a local merchant. Do not underestimate the quantity of wastes that a single horse can produce. It is estimated that a horse weighing 800 lbs. (364 kg) will produce wastes weighing 16000 lbs. (7300 kg) in one year. To this, you have to add the bedding (that has to be removed almost daily) and various other wastes (food etc.). Thus, you must in advance build a waste management policy that is compliant, sustainable and environmentally friendly. 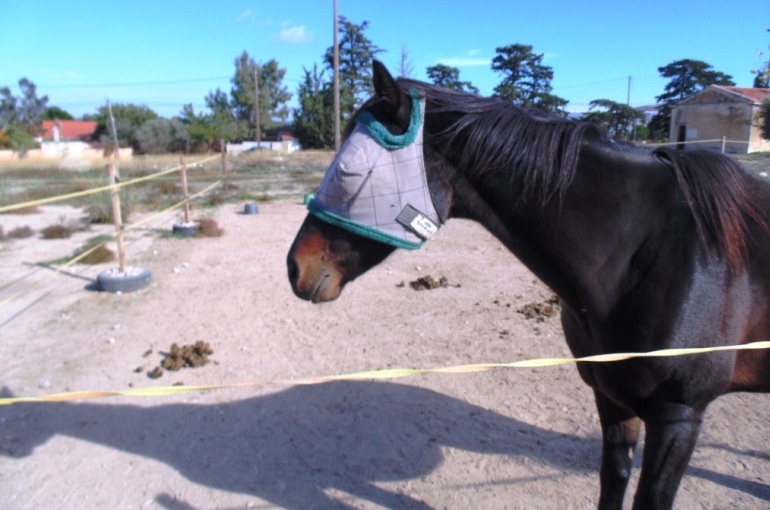 You can enrich this article by leaving a comment or photo of your horse waste management methods.